I have been sporting this bracelet daily (and it's teal!) for a sweet and sassy 9-year-old girl named Kate. She was diagnosed with Stage 4 alveolar rhabdomyosarcoma, a rare and aggressive soft tissue cancer, less than two months ago. She has to undergo 40 weeks of chemotherapy. With seven weeks of chemo down (with alternating weeks of 5+ treatments), Kate's body has been responding to the treatment! She has a GREAT family that needs our help in caring for her younger twin siblings and medical bills for radiation, surgeries, and proton therapy that insurance does not cover, since her parents have been taking time off to care for her, her family, and their home. You can follow her progress on the TeamKate Facebook page and donate to Kate's Healing Fund. 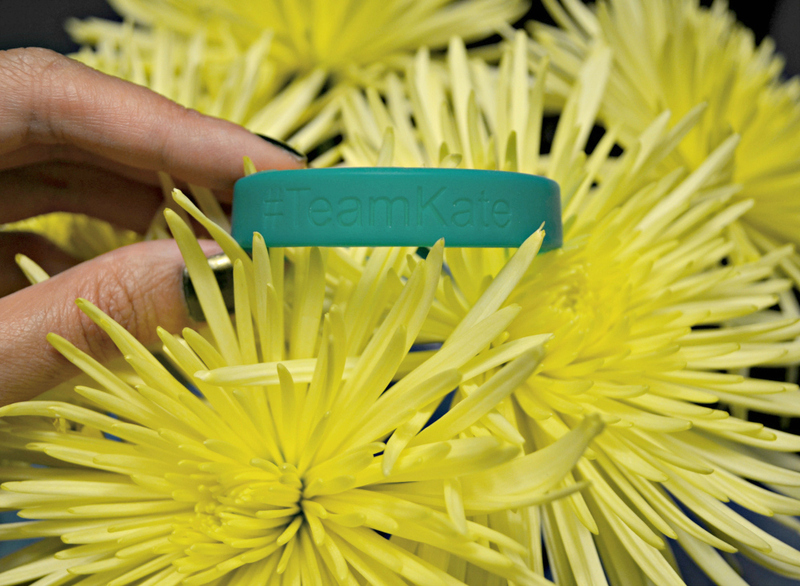 TeamKate has already raised almost half of the goal of $120,000 in less than two months. SO AWESOME!! During Labor Day weekend, Athleta had their sale items marked an additional 20% off. One item that I purchased was the Stride Capri in the "Aloha! yellow". It is lightweight and does not budge, when I exercise. PLUS! It is made with Polygiene odor control technology, so it still smells great after a Pilates session and run! My G-Shock Watch that I got as a prize for participating in the Never Quit Trident race in May does not leave my arm. It is waterproof and has made it through all of my summer adventures.